Starboy Wizkid has aired out the process it took to squash the alleged beef between him and former rival Davido. Prior to December 2017, two of Nigeria’s biggest artists at the moment Wizkid and Davido were seen as arch rivals on social media especially with subs being thrown around by both artists. 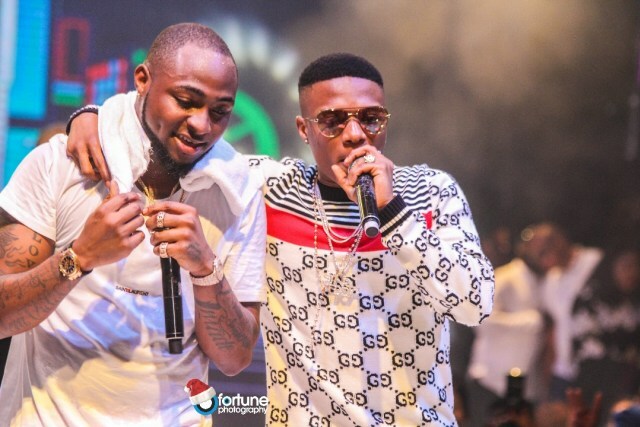 It was a big surprise when Wizkid called out Davido and both artists performed together at Wizkid’s December concert. That did not end there Davido also brought Wizkid on stage during the 30 Billion Concert. In a recent interview on HipTV, Wizkid talked about the reconciliation process. The starboy said that it cost nothing to make peace with his perceived rival. He said he simply put a call and message across to Davido and that was it. The proof was both of them rocking stages together and a new kind of bromance on social media. David I and wizkid oooo…….